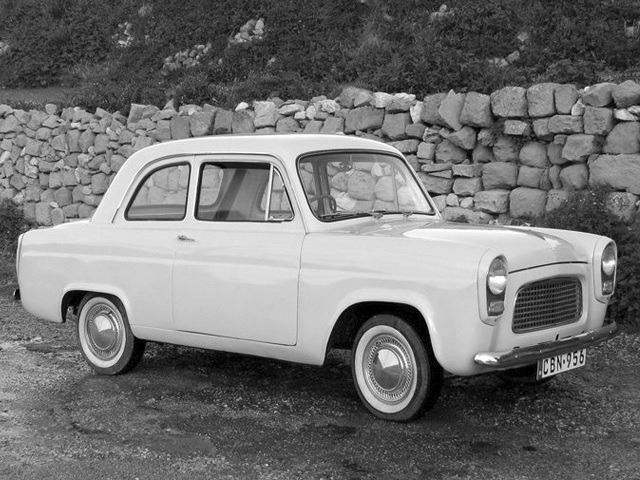 The unitary construction, which debuted on the 1951 Zephyr/Zodiac also underpinned Ford's exciting new small car range, which finally saw an end to the old pre-war sit-up-and-beg Popular 103E. Predictably, the new Popular, Prefect and Anglia looked rather like a scaled-down Consul or Zephyr, but this was the beginnings of Ford's 'family' styling policy, which would serve it well for decades to come. 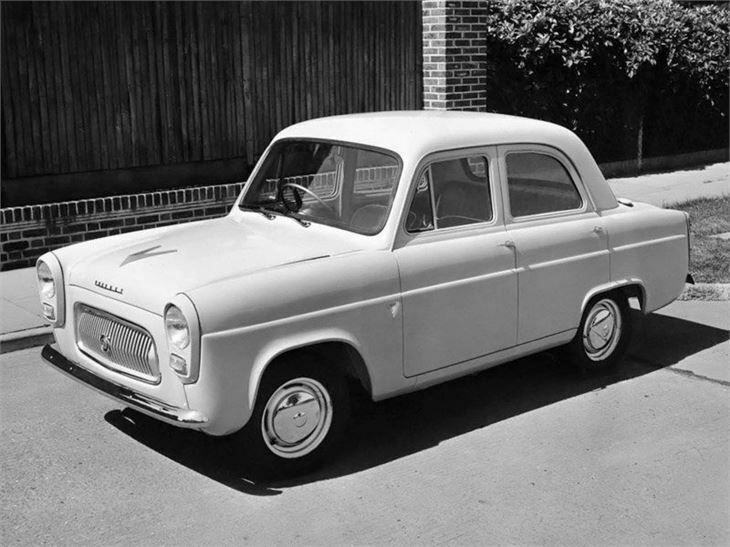 The 100E came in basic two-door Anglia form or as the higher-spec Prefect, with four doors. Pre-war side-valve engines persisted – the all-new 1172cc engine just happened to be exactly the same capacity as that in the old Anglias and Prefects. 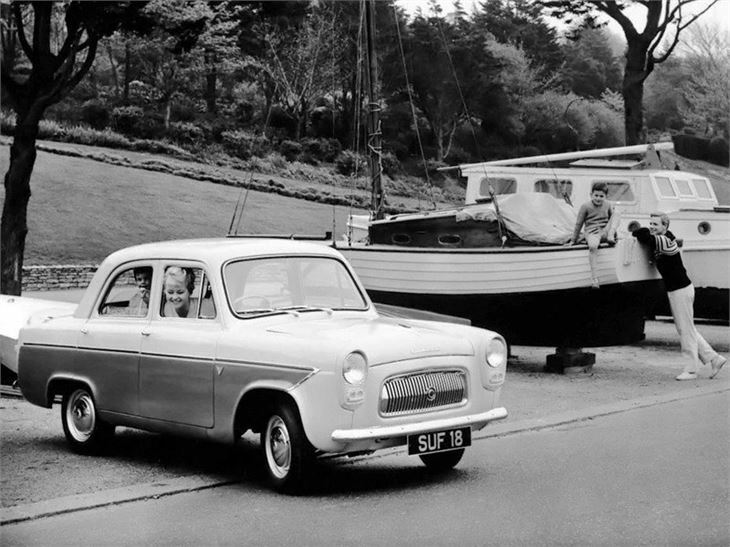 When the 105E Anglia was launched in 1959 the 100E became the Popular, a no-nonsense, low-budget machine intended to lure customers away from the sub-£500 Mini. The lack of a four-door Anglia 105E meant that the 100E would soldier on for some time. 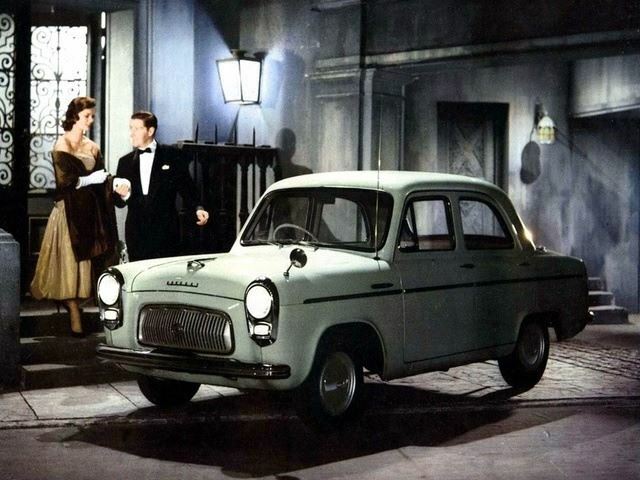 The Prefect 107E ended up being the perfect car for those who wanted the practicality of a four-door car and the innovation of the new overhead valve engine but weren’t that bothered about the fashion-conscious looks of the reverse-rake Anglia. This was effectively the four-door 100E shape fitted with the 105E’s overhead-valve engine and four-speed transmission, plus some plusher touches than had been the case on previous 100Es. Two-tone paintwork was standard, and a small but loyal following ensued.